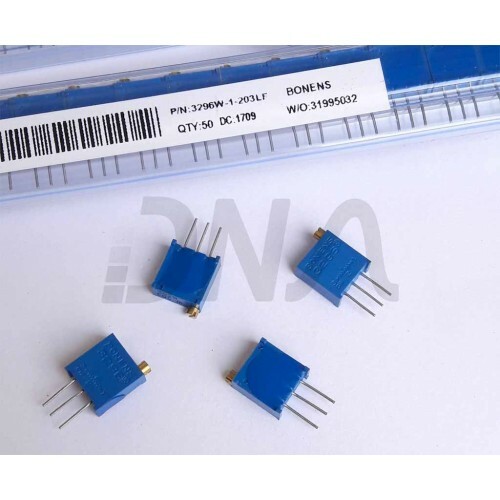 This is a 20K ohm (203) 3296 series Multi-turn potentiometer. Multi-turn variable resistors are used in application where accuracy and precision is important. As the name suggests the need to turn the know several times for going through the full scale of 0K ohm to 20KOhm. 3296 series 50K ohm Multi-turn PotentiometerThis is a 50K ohm (503) 3296 series Multiturn PCB Mounti..